This volume provides an enlightening and pragmatic approach to preserving biological diversity by gathering a wide range of peer-reviewed scientific content from biodiversity researchers and conservators from around the world. It brings comprehensive knowledge and information on the present status of conservation of biological diversity including floral, faunal, and microbial diversity. A detailed account of recent trends in conservation and applications under changing climate conditions, focusing mainly on agriculturally and industrially important microbes and their sustainable utilization, is presented as well. Over the past five decades, extensive research work has been done on many aspects of biodiversity conservation and sustainable utilization of biological resources. This book examines this crucial issue. 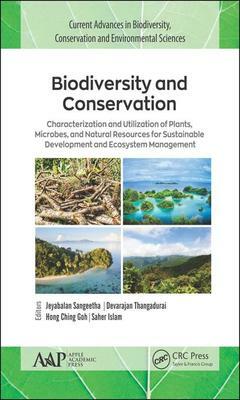 Chapters discuss biodiversity concepts, benefits, and values for economic and sustainable development; explores applications and strategies for biodiversity preservation; and considers the role of biodiversity conservation in public awareness services and cultural significance. The volume also examines the process of evolution and the future of biodiversity in conjunction with climate change factors, with special reference to infectious diseases. Shivanand S. Bhat et al.